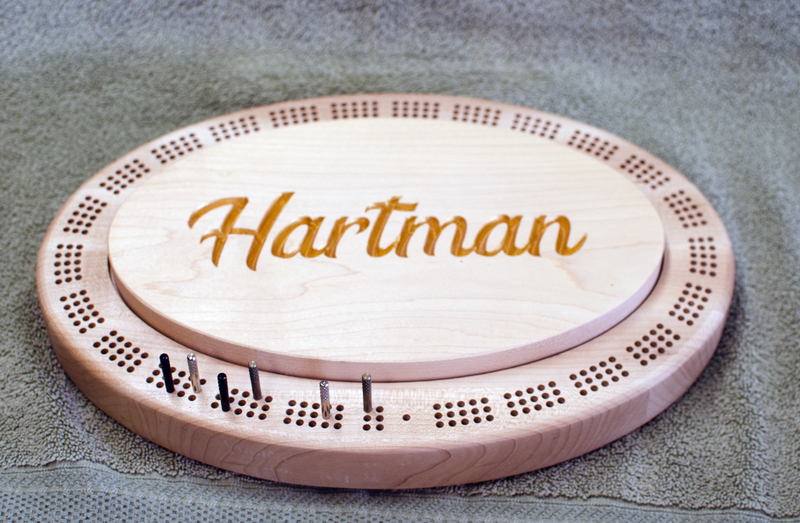 Cribbage 18 – 05. 3-player track. Hard Maple. Top has carved lettering that’s painted gold. Lacquer finish.